This lab-tested, certified-safe pad is a dream come true for allergy sufferers. Made with hypoallergenic Revoloft—feels like down without the feathers—and zero flame retardant chemicals. Breathable bamboo regulates temperature, which is helpful for cooling a memory foam mattress. Some shifting may occur due to the thin mesh side fabric. The best mattress pad for kids’ beds. 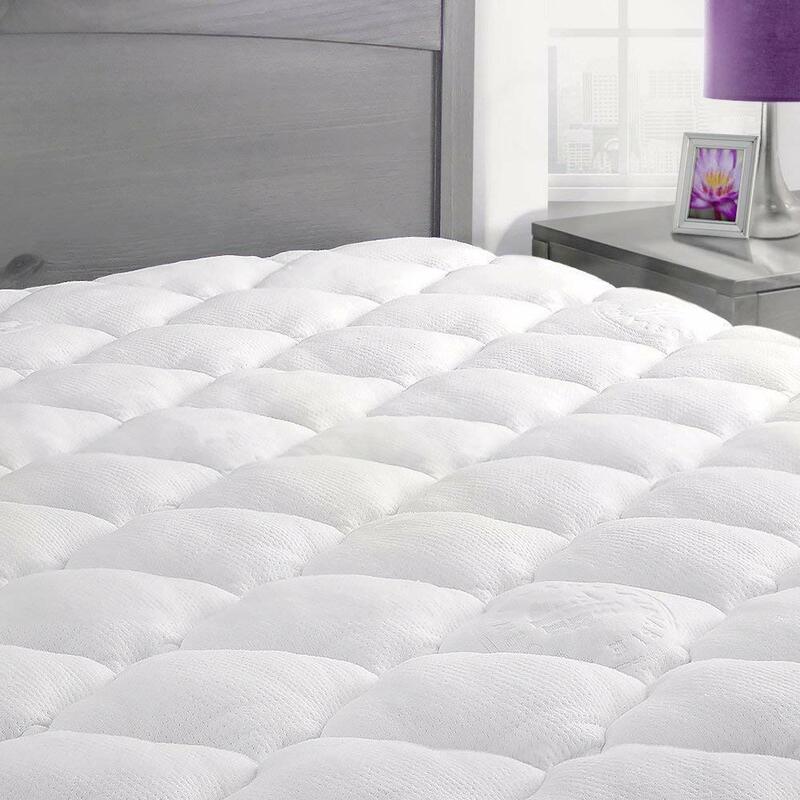 This twin-size mattress pad is made of quilted polyester, which is an extra durable fabric. It’s machine-washable and hypoallergenic too. It’s only available in twin and king sizes. This mattress pad might be better if you have a gel or memory foam mattress that you don’t want to negate with extra padding. This basic pad is low maintenance. It’s machine-washable, hypoallergenic, and breathable with tight stitching. Some customers say it’s too thin and it fits a little funky. If that’s the case, you can get your money back via the 100% satisfaction guarantee. A mattress pad that makes a real difference you can actually feel. Overfilled with 24 ounces of gel plus hypoallergenic goose down will make your bed noticeably softer. A no-fuss fit on mattresses up to 18 inches deep. So many repeat customers indicate that Hospitology is a trusted brand. The down flattens as you lay on it, so some say it could be fluffier. 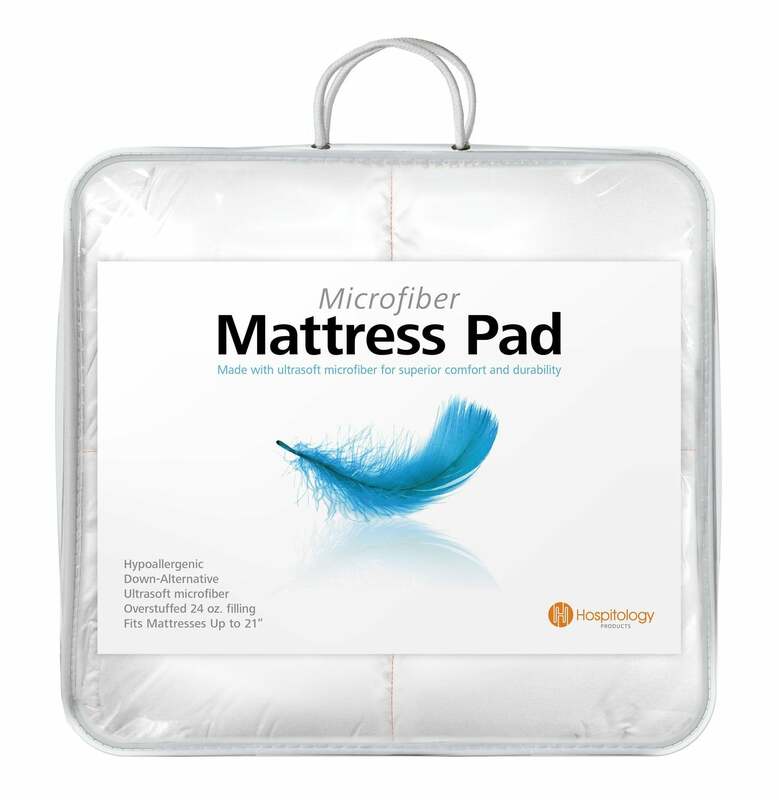 Here’s a thin, protective layer that many customers report as the best mattress pad for air mattresses. It’s a perfect fit with strong side fabric to hold it in place. The fiberfill is breathable and the cover is machine-washable. It’s only 16 inches deep and it’s not hypoallergenic. If you woke up on the wrong side of the bed today or you’re just too tired to read the thousands of mattress pad reviews, don’t worry—we did the research for you. We spend a minimum of 10.5 hours on each product review and mattress pads are no different. Skip the fluff and shop the best mattress pads above, which we’ve compared side-by-side. If you’re interested in learning more, continue reading our buyer’s guide below. When it comes to a bedroom checklist, mattress pads are technically optional but they really shouldn’t be. It may seem like an ancillary purchase, but a mattress pad can protect and preserve your mattress. They can even make a small, but comfortable, difference on a mattress that might be too soft or too firm. There are many reasons why we and bedding experts believe you should buy a mattress pad, but it doesn’t have to be a random shot in the dark. These pads are made out of various materials at different densities, so what works well for one person—or mattress—may not be as beneficial to another. Stick with us as we explain the difference between a mattress pad and other similar bedding products. We’ll provide a cheat sheet of all the different mattress pad materials and which one is best for your allergy needs and personal preferences. Our team has also outlined criteria for what exactly you should be looking for before you buy a mattress pad. Some mattress manufacturers will market mattress pads, protectors, and toppers as one. This is simply not the case. Read below for the similarities and differences between the three products. What: Most mattress protectors are vinyl, machine-washable, and waterproof. Where: They’re secured to the top of a mattress with elastic or a zipper. Why: They protect mattresses from moisture, sweat, and humidity, as well as bacteria, bed bugs, fungi, and stains. When: They’re especially helpful in dorm rooms, apartment buildings, and humid climates. What: A mattress topper is a thick layer—usually two to four inches—of material like memory foam, gel, or latex that provides extra comfort and support to a sleeper. Where: They lay on top of the mattress and can be secured in place by a mattress pad and/or a fitted skirt. 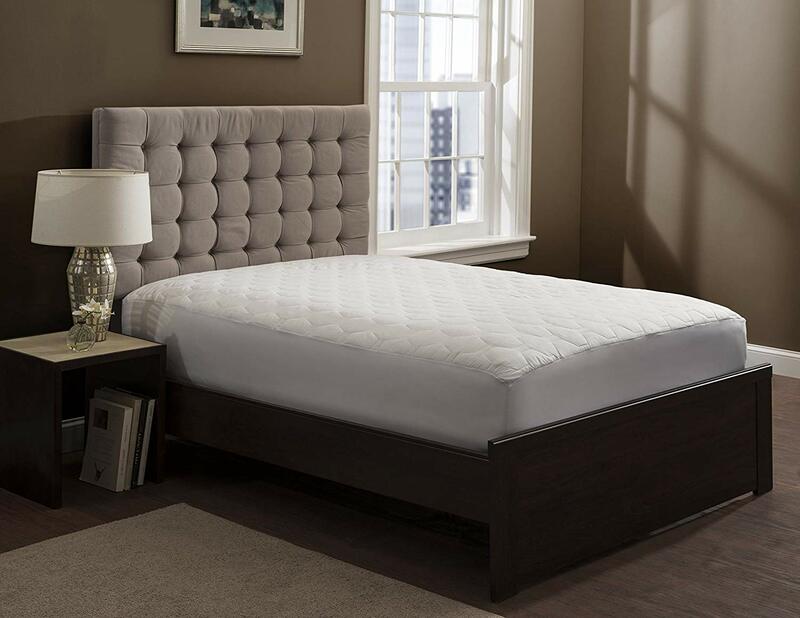 Why: Mattress toppers firm up well-worn mattresses or soften new mattresses that are too firm for your liking. When: If you’ve been tossing and turning or waking up with an aching body, a topper can give you the cushion or support your mattress is missing. What: Mattress pads are slightly padded and are often made of quilted material. Where: Pads cover your mattress beneath a fitted sheet. Why: They protect the surface of your mattress from wear and tear. Although thin, some customers say they feel a significant difference with the padding. When: If you want a little extra cushion and protection, especially on a new mattress, a mattress pad is a great choice. Before you choose a mattress pad, reflect on how the material might affect you and your partner, your health, and your sleep. Allergies, thermal sensitivities, and synthetics are all important to consider. Pros—Cotton is a natural material that’s absorbent and machine-washable. Cons—It can get lumpy and it’s not as long-lasting as other materials. Pros—It has insulating properties, so it keeps you warm in the winter and cool in the summer. Wool is also resistant to allergens, dust, and mold. Cons—Wool is usually dry clean only and not very soft. Pros—Synthetic materials are durable and more waterproof than other materials. They’re also good for keeping out bed bugs and dust mites. Cons—They’re less breathable and comfortable. They’re also not as clean as cotton or wool. Pros—Latex is supportive, comfortable, and hypoallergenic. Pros—This is the most comfortable and supportive type of mattress pad. Cons—Though it’s the most comfortable, it’s also the most expensive. Foam holds heat, so it’s not a wise choice for people who sleep warm. Before you buy, ask yourself what you need from a mattress pad. If your intention is to only protect your mattress—say from bed bugs and moisture—buy a synthetic pad. Consider a hypoallergenic latex mattress pad if you want to keep allergies at bay. If you’re still getting used to a new mattress, filter your search to pads with overfill. If you’re replacing a mattress pad that slips on your mattress or bunches up unevenly, choose a product with quilted stitching. Although you’ll cover your mattress pad with a fitted sheet, thread count still matters. It’s an indicator of durability and quality. Since thread count refers to how many threads are woven per square inch, a higher count will keep fill in and dust, bugs, and allergens out. It can be a frustrating experience if your pad doesn’t actually fit your mattress. Unfortunately, it’s more work than just choosing between a queen- or king-size pad. Look at the product description for the depth of the pad. Four of the five mattress pads we reviewed can fit any mattress up to 18 inches deep. Our fifth pick, however, has a depth of 16 inches. Mattress pads can be fitted in one of three ways: straps, fitted, or wrapped. Elastic straps, also called anchors, fasten around the mattress corners for a loose fit. If a mattress pad is fitted, it can be secured like a fitted sheet with elastic around the top and sides of the mattress. With fitted pads, slipping may still occur. Wrapped elastic is the most secure fit as the pad is held in place by elastic all around the top, sides, and bottom. Depending on the material, some mattress pads are machine-washable while others are dry-clean only. Always refer to the care label. The most common complaint we’ve seen is that some mattress pads just don’t hold up in a home washing machine. What’s the difference between a mattress topper and a mattress pad? 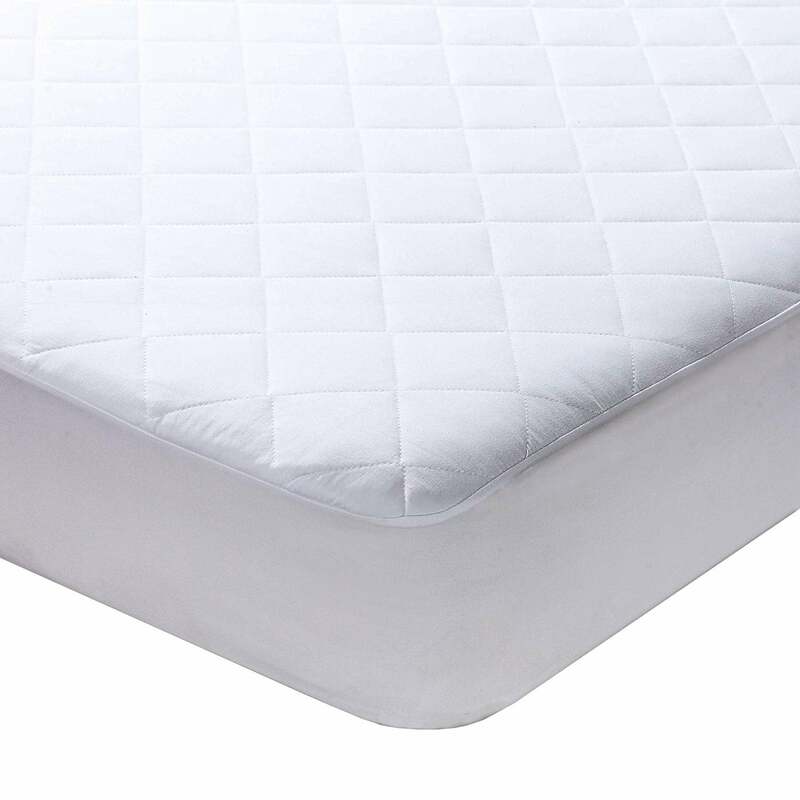 A mattress topper is held in place by a mattress pad. You can physically feel more of a difference with a topper, which is designed for support and cushion. Mattress pads are thinner than toppers and protect the mattress from dust, bed bugs, and moisture. Why do I need a mattress pad? A mattress pad can protect your mattress and mattress topper. It can also make your new mattress more comfortable. 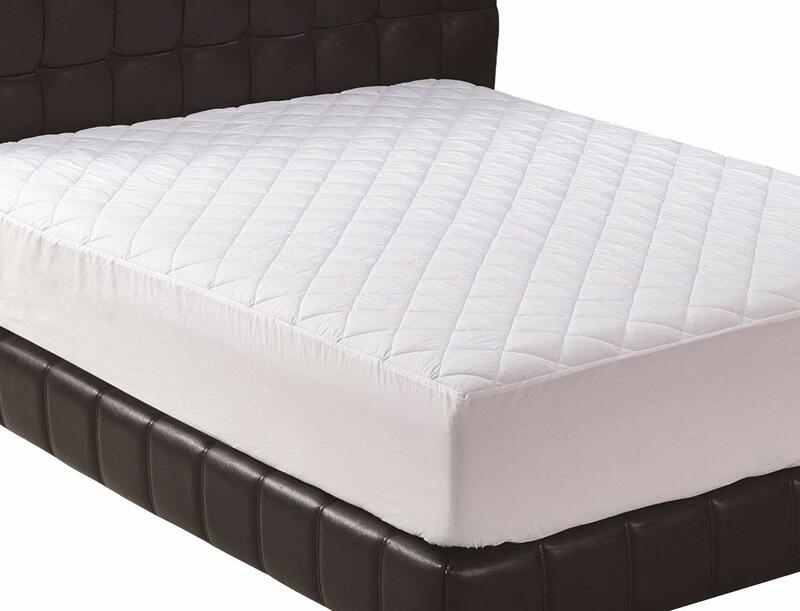 We also read many mattress pad reviews from customers who bought one for their guest bed or air mattress. Synthetic mattress pads are more water-resistant than natural materials; however, a vinyl mattress protector is the most waterproof option. To make your purchase easier, we warmed up to the heated mattress pad market and read hundreds of reviews from verified customers. Read on to learn which features to look for when shopping for a heated mattress pad and other tips for turning your bedroom into a toasty sanctuary. We swapped our bedtime reading for mattress topper reviews to help you find the best mattress topper for your sleep situation. Whether you’re potty training your child or your Sunday morning ritual is breakfast in bed, a mattress protector can save the day—and your mattress. Whatever your situation may be, we’ve got you covered with 5 of the best mattress protectors on the market.